Saudi Arabia: MEPs issued a Parliamentary Question on the situation of human rights in Saudi Arabia. On the 26th of November 2018 Pina Picierno (S&D), Daniele Viotti (S&D), Patrizia Toia (S&D), Isabella De Monte (S&D), Enrico Gasbarra (S&D), Renata Briano (S&D) wrote a unified parliamentary question on the situation of human rights activists in Saudi Arabia. 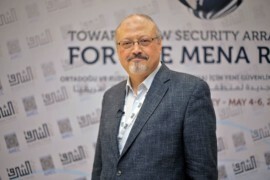 The Kingdom of Saudi Arabia has been at the centre of international criticism since the killing of Saudi journalist Jamal Khashoggi early October 2018. Since then, international organizations, national governments and civil societies have repeatedly denounced the Kingdom’s lack of commitment and compliance to international human rights standards and obligations under the UN Conventions. This time, the 6 MEPs have addressed the issue of human rights defenders detained in Saudi Arabia solely for their activism with regards to women’s rights. These activists have been arrested without trial and Amnesty International, which has collected the testimonies of at least three human rights defenders, demonstrated the use of torture and ill-treatment in the Saudi prison of Dhahban. Amnesty International’s report further explained that one of the female activists, “while being interrogated, was molested by an agent covered with a mask”. As a remainder, in 2018 a decree was passed in Saudi Arabia allowing women to drive in the country. It had been well received by the international community because it demonstrated the country’s will to modernize and advance in gender equality. However, women’s rights were not at the forefront of the motivations behind the decree. Rather, the decree was more economically driven, in order to promote a more positive international image of the country. There are a multitude of factors as to way the Kingdom lifted the driving ban, among them are the Vision 2030, the upcoming Universal Periodic Review (UPR) at the United Nations (UN) and the Sustainable Development Goals (SDGs). In 2015, the government had pledged to meet the UN’s seventeen SDGs, saying they were in line with Vision 2030. More specifically, Crown Prince Mohammad bin Salman’s Vision 2030 for Saudi Arabia plan visualises to increase women’s employment from 22 percent to 30 percent by 2030. Therefore, allowing women to drive, has the sole purpose of facilitating women’s access to the workforce and reach the 30 percent employment goal, while diversifying and expanding the economy. Another factor influencing the new decree is the upcoming third-cycle UPR and the country’s involvement in the war in Yemen. By, granting women the right to drive, the government hoped for less scrutiny and further international pressures. Despite these efforts, women in Saudi Arabia continue to be treated as second-class citizens since the country is still under the male guardianship system; limiting women’s rights, their freedoms and gender equality. Indeed, this decree gives women new found freedoms but women still have a long way to go before they can be considered as equals, especially since the lift of the driving ban still comes within the confines of the male guardianship system. After the new decree was enacted it was expected that six million out of nine million eligible women would apply for a license; therefore, relying less on their guardian. The decree was also accompanied by an anti-harassment law meant to limit the comments and actions by male drivers against female drivers. However, despite this, there is a fear that driving will be only accessible for wealthy Saudi women; hence, increasing disparities, despite the country’s aim for economic diversity. Moreover, when Saudi Arabia pledged to the UN SDGs it also agreed on the fifth goal which ensures that women have equal access to education, health care, decent work and representation in political and economic decision-making processes. Therefore, that same year, the government provided women the right to vote and run for office, but women’s ability to register to vote continues to be hampered by the guardianship system. Furthermore, not only gender equality is still not a priority in the government’s agenda but the country continues to increasingly imprison women’s rights defenders. One month before the driving decree, in May 2018, Saudi authorities had arrested ten prominent women’s rights defenders, including Loujain al-Hathloul which was mentioned in the MEPs parliamentary question. She was arrested for her commitment to support the revocation of the driving ban. This clearly shows the Kingdom’s continued attempt to silence critics and opposition by announcing cosmetic reforms which do not increase gender equality. 1. Is she aware of the worrying situation these activists are in? In her reply, HR/VP Mogherini highlighted that the EU is aware of the reports of ill-treatment against human rights activists detained in the Kingdom, including the group of women detained since May 2018. She further explains that if those allegations were found to be true, they “would constitute serious human rights violations, particularly if perpetrated in state facilities.” She continues by saying that the “EU is sparing no effort to engage with the Saudi authorities seeking clarification on the circumstances surrounding the arrests of human rights defenders” in the country since May and informs that the EU will continue to use all the available diplomatic tools at its disposal in its dialogues with the Kingdom. Lastly, she confirms the repeated efforts of the EU in explaining to the Saudi government the importance and the relevance of the work of human rights defenders and civil societies in the process of reform, to which the country has agreed on pursuing. The European Centre for Democracy and Human Rights (ECDHR) welcomes the Parliamentary Question of MEPs Pina Picierno (S&D), Daniele Viotti (S&D), Patrizia Toia (S&D), Isabella De Monte (S&D), Enrico Gasbarra (S&D), Renata Briano (S&D) on the situation of human rights defenders in Saudi Arabia. We share concerns over the ongoing infringements of human rights in Saudi Arabia and over the repeated use of torture and other forms of abuses and ill-treatments. The government has shown an unfortunate lack of true commitment to gender equality despite its alleged commitment to fulfilling the letter of SDG Goal Five, instead continuing to target and arrest women’s rights activists and maintain the male guardianship system. It is clear that five years after Saudi Arabia committed to reforming its human rights record, the Kingdom has refused to do so. Therefore, ECDHR calls on the government of Saudi Arabia to abolish the male guardianship system, immediately and unconditionally release all detained women’s rights activists, human rights defenders and political activists currently detained in the Kingdom and cease the harassment of peaceful critics. Lastly, ECDHR calls upon the EU to continue pressing on Saudi Arabia for much-needed reforms. Please find below a full copy of the question of Pina Picierno (S&D), Daniele Viotti (S&D), Patrizia Toia (S&D), Isabella De Monte (S&D), Enrico Gasbarra (S&D), Renata Briano (S&D) and the response of HR/VP Federica Mogherini. Question for written answer to the Commission (Vice-President/High Representative), submitted by Pina Picierno (S&D), Daniele Viotti (S&D), Patrizia Toia (S&D), Isabella De Monte (S&D), Enrico Gasbarra (S&D), Renata Briano (S&D) on November 26 2018. Answer given by High Representative/Vice President Mogherini, on January 24 2019. The EU is aware of the reports of ill-treatment against human rights activists imprisoned in Saudi Arabia, including the group of women activists detained since May. Those allegations, if verified, would constitute serious human rights violations, particularly if perpetrated in state facilities. The EU is sparing no effort to engage with the Saudi authorities seeking clarification on the circumstances surrounding the arrests of human rights defenders in Saudi Arabia since May, including Mrs Aziza Al-Yousef and Mrs Loujain al-Hathloul, notably with regard to the specific accusations brought against them. In particular the EU has repeatedly emphasised the relevance of the work of human rights defenders and civil society groups in relation to the process of reform which the Kingdom is pursuing as well as the importance of respecting due process for all the individuals arrested. The EU will continue to make use of all the diplomatic tools at its disposal to continue to convey its positions on these cases as part of its dialogue with the Kingdom of Saudi Arabia.